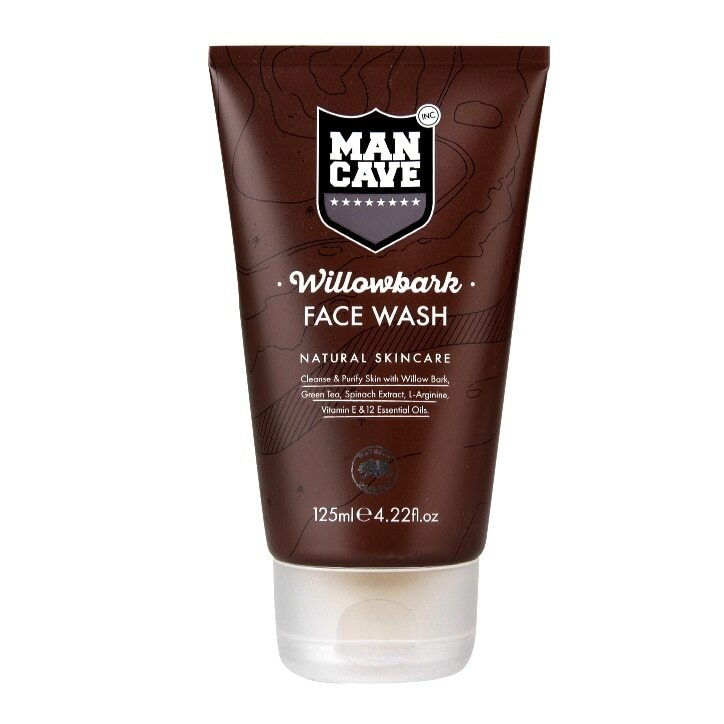 ManCave's FaceWash uses the anti-oxidant and anti-inflammatory properties of Willow Bark, Green Tea to protect skin cells. A precise combination of natural extracts work to refresh, waken and purify the skin for a fresher and healthier appearance. Cleanse and purify your skin with Spinach Extract, L’arginine, Vitamin E & 12 Essential Oils. Aqua (Water), Glycerin, Cocamidopropyl Betaine, Lauryl Glucoside, Sodium Cocoamphoacetate, Sodium Chloride, Phenoxyethanol, Coco-Glucoside, Glyceryl Oleate, Sodium Cocoyl Glutamate, Sodium Lauryl Glucose Carboxylate, Acrylates/C1030 Alkyl Acrylate Crosspolymer, Parfum (Fragrance), Citric Acid, Xanthan Gum, Aloe Barbadensis Leaf Juice, Arginine, Linalool, Bulnesia Sarmientoi Wood Oil, Isopropyl Alcohol, Benzyl Salicylate, Camellia Sinensis Leaf Extract, Salix Nigra (Willow) Bark Extract, Hexyl Cinnamal, Abies Sibirica Oil, Artemisia Herba-Alba Oil, Cedrus Atlantica Bark Oil, Citrus Aurantifolia (Lime) Oil, Eucalyptus Globulus Leaf Oil, Lavandula Hybrida Oil, Origanum Majorana Herb Oil, Rosmarinus Officinalis (Rosemary) Leaf Oil, Coumarin, Spinacia Oleracea (Spinach) Leaf Extract, Potassium Sorbate, Abies Balsamea (Balsam Canada) Extract, Juniperus Communis Fruit Oil, Piper Nigrum (Pepper) Fruit Oil, Thymus Vulgaris (Thyme) Flower/Leaf Oil, Sodium Benzoate, Hydrogenated Palm Glycerides Citrate, Tocopherol. ManCave Face Wash is rated 4.9 out of 5 by 7.